According to a study by an international team of scientists funded by the National Science Foundation (NSF) and the United Kingdom's Natural Environment Research Council, a previously unknown volcanic hotspot has been discovered underneath the massive West Antarctic Ice Sheet (WAIS). To discover the volcanic activity, the scientists traced helium isotopes, more specifically He-3, as these isotopes are widely recognized as a principal source for the deep water melting of glaciers. By analyzing historical data of helium measurement around the seas of Antarctica, the scientists discovered a volcanic signal that stood out in their data. "To model the complex processes of how the ice sheets move is a difficult, but essential thing to do if we are to understand their role in the global climate and their potential for contributing to sea level rise," said Peter Milne, program director for ocean and atmospheric science at the NSF. "This research may add a critical piece of information as we try to assemble that 'big picture.'" 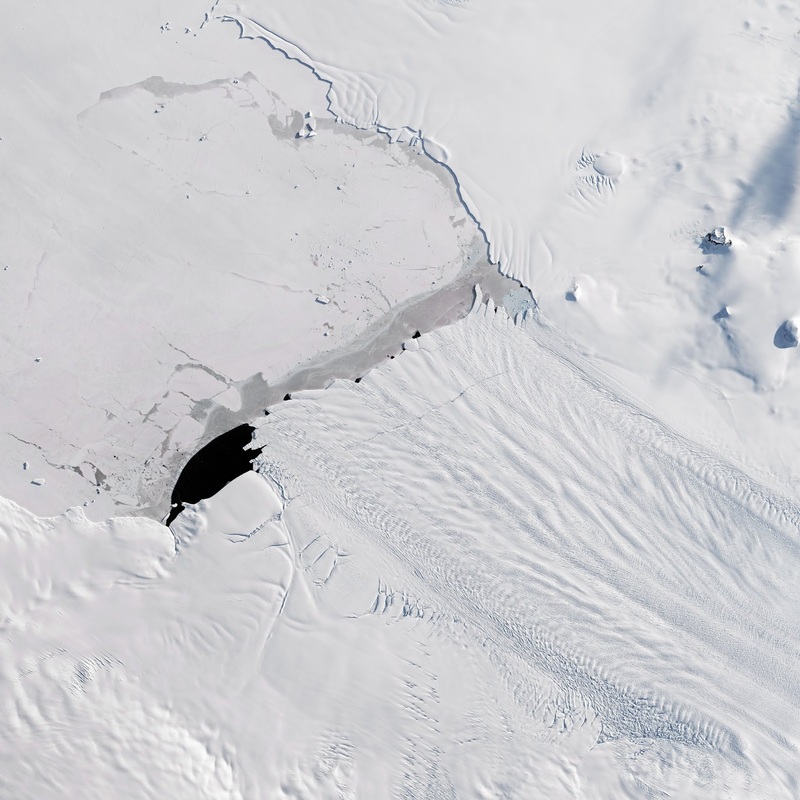 The study concluded that the Pine Island Glacier would be a significant source of global sea level rise should melting continue or accelerate. Glaciers such as Pine Island serve as plugs that regulate the speed at which the WAIS flows into the sea.